You will receive a shipping confirmation email within 24 hours of placing your order. This email will provide you with the shipping confirmation numbers necessary to locate your order. 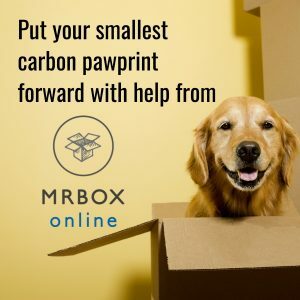 MrBoxOnline.com automatically computes shipping charges whenever you place an item in your shopping basket. For ground service we will ship via UPS or FedEx Ground. You will notice that certain products have been marked for pick up at warehouse or local truck delivery. Items marked will not be able to ship via UPS and alternative methods have been suggested. Again, some items are too big to ship via UPS and it is more economical to ship via our national truck lines. We will e-mail you with the amount prior to shipping for your approval. It is our aim to get the lowest rate possible for shipment. Please note that when we ship via truck to a private home, additional charges may apply. We will advise you of these charges prior to shiment. Delivery to a home is generally more expensive than shipping to commercially zone business. To avoid this fee, we recommend that you arrange to have the shipment delivered to a business address. Our ground service fees are generated from the UPS/FedEx websites. This allows us to automatically calculate your shipping charges. UPS/Fedex calculates shipping charges based upon the shipping destination and weight of the shipped item(s). As mentioned above, some items are to large to ship via UPS/FedEx and we recommend a pick up at our facility. Commerical customers in our local delivery area may opt for delivery as long they meet our minimum truck charge. We offer samples on some products. To request a sample please email us info@mrboxonline.com and we will process your request. If a sample is not available, we will certainly let you know. In order deflect the high of shipping, we will ask you to provide a valid UPS/FedEx account so you enjoy the free sample and have cost of shipping billed directly to your account. Free delivery with a a $200.00 via our trucks to a commercially zone business in Dade, Broward and Palm Beach Counties in South Florida. 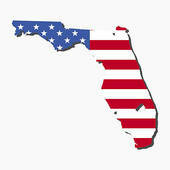 All other locations, we will prepay and add freight to your invoice. There's no minimum for shipment via UPS/FedEX or our national truck carrier system. Some items listed have minimum quantities to purchase, but never a dollar amount. Custom items may require minimums to manufacture.